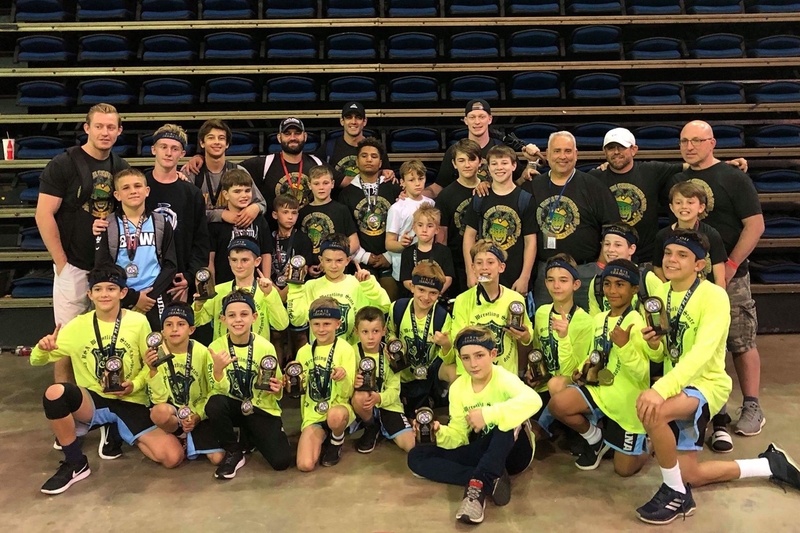 The Bayou Elite Wrestling Club had 16 state champions at the Louisiana USAW Folkstyle State Championships, held at the Baton Rouge Raising Cain's River Center on April 14th. Before, during and after another season in which the Bayou Elite Wrestling Club (BEWC) dominated the Louisiana kids-club level folkstyle season, which saw BEWC members win 16 folkstyle, 20 freestyle and 10 Greco-Roman state championships, the club set its sights on national competitions - and not to just to attend and participate in them. 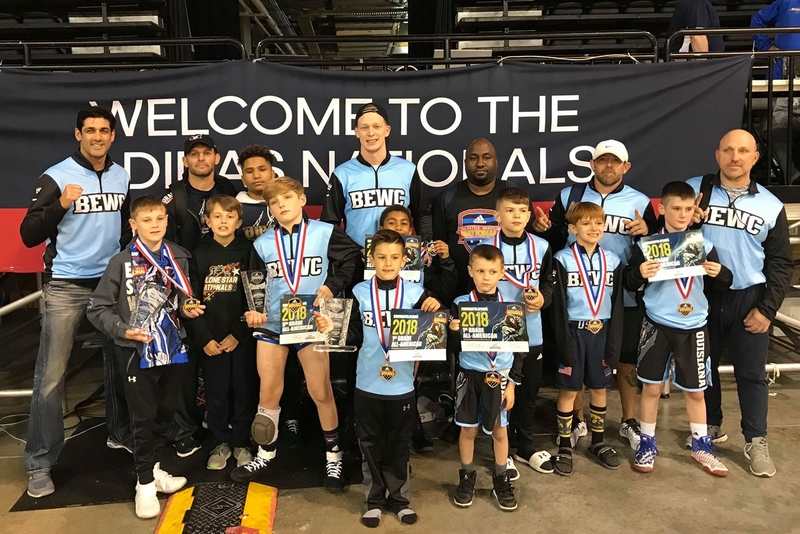 Defying the national mindset of Louisiana wrestlers being an “easy out” on the national level, BEWC started early in the season with multiple regional tournament champions in states including Texas, Alabama and Tennessee. BEWC then claimed their first national champion of the 2017-2018 season at the Dixie National American Crown championships in Atlanta, Georgia (12/29/2017). BEWC members also claimed numerous All-American awards at that event. The club next participated in the Houston Nationals on 01/13/2018, taking another national championship title and five more All-American finishes. This was followed on 01/20/2018 by BEWC taking a group of wrestlers to the Tulsa Nationals (Tulsa, Oklahoma) and another group back to Atlanta Georgia for the Southern Grind. In Tulsa the team managed one finalist and two other All-American placers while in Georgia the had one champion, one finalist and two other All-American finishes. Back to Texas, this time in Dallas for the Cotton Bowl/Lone Star Nationals on 02/03/2018, the club produced one champion and two other All-American place finishes. Two more BEWC members won All-American status on 03/24/2018 at the Virginia Beach Nationals. After the Dallas event the BEWC entered the USA Wrestling (USAW) postseason with a trip to the folkstyle national championships in Cedar Falls, Iowa, on 03/31/2018. Here the BEWC proved that their hard work and travels were not only setting them apart from other Louisiana clubs, but also as a premier club on the national level. In Iowa 11 wrestlers finished as All-Americans. Two won national championships and the team captured the Bantam Division Championship. On 04/07/2018 the team entered the Adidas Nationals in Independence, Missouri, another USAW postseason national event. The BEWC once again showed its dominance with three national champions and 10 All-Americans. The team started the Louisiana USAW freestyle/Greco-Roman postseason with a trip to the Southeast Regional in Atlanta, Georgia, on 05/26/2018, to qualify for Freestyle and Greco-Roman nationals. This time the BEWC claimed seven folkstyle champions, five freestyle champions and four Greco-Roman champions. The team also claimed two Iron Man awards, given to a wrestler that wins all three styles at this event. BEWC closed out the freestyle/Greco=Roman season with one last trip to the freestyle/Greco-Roman National Championships on 07/01/2018, the final national championship event of the 2017-18 wrestling season. 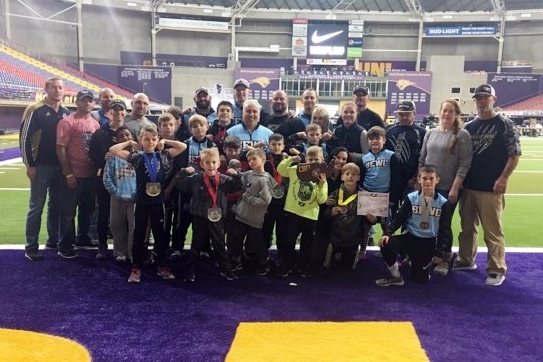 The team produced one Greco/Roman national champion, six freestyle all-Americans and five Greco-Roman All-Americans. Four BEWC members earned All-American status in all three wrestling styles: Nicholas DiGerolamo, Nico DeSalvo, Ethan Christopher and Dominic Durham.